A grand wedding celebration is not complete without the presence of your nearest and dearest. 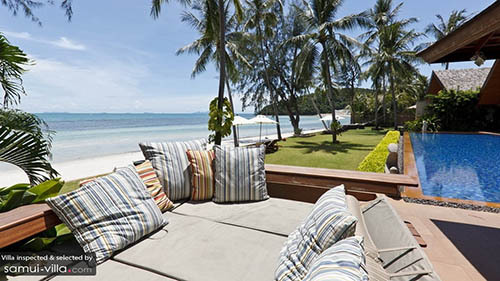 If you have plans to invite the entire clan, the eight bedroom Baan Kilee offers ample space to accommodate twelve adults and eight children. After the merry-making on big day, take a well-deserved vacation and relax in the luxurious comforts of the villa. You and your guests will have a fine time here, easily settling into an enviable routine that includes strolls along a white sand beach, dips in an incredible infinty pool and relaxing on the sunken seats of a pool while catching up on your favourite films. 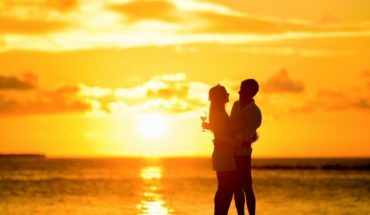 If you and your loved one are on the search for a wedding villa with a view, look no further. Set amidst the dense forestry by the cliffside, this spectacular abode offers fabulous views of the surrounding seas and coastlines. 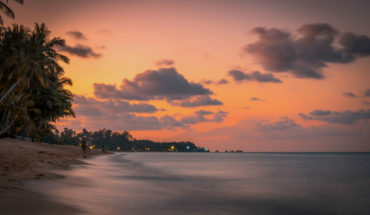 Each and every day, you will wake up to a vast expanse of lush greenery, Taling Ngam‘s pristine sands and the azure seas. 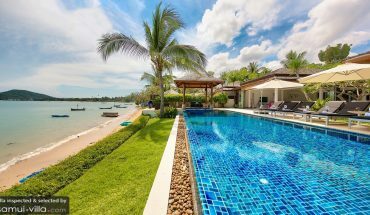 Set in a private bay at Laem Sor, the stunning Villa Kalyana oozes vibes of grandeur and magnificence. The commodious garden, home to a spacious swimming and plenty of towering palms, leads directly to the secluded coast of the bay. Your guests will have an array of snug spots within the dreamy abode to choose from. The little ones will have a jolly good time playing in the kids room, while the young-at-heart will enjoy using the entertainment facilities in the games room. 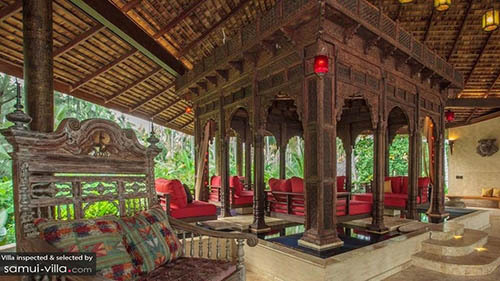 Those who are keen on rest and relaxation will adore lounging at the intricately-carved 150 year-old wooden pavilion in the living area. The enchanting Villa Suralai sits atop a mountain, and overlooks the scenic coastlines and emerald greenery surrounding it. A stone pathway going under a waterfall leads guests from the entrance to the main building of the villa. Once inside, you will set sight on a series of sleek and chic living spaces, all adorned with contemporary touches. 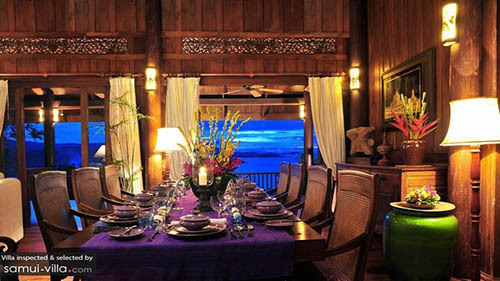 This is the perfect villa for the understated and discreet couple keen on hosting an intimate wedding celebration. 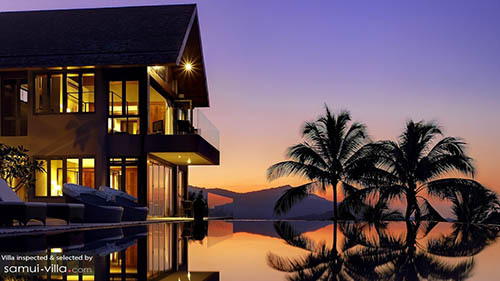 Tassana Pra Villa will delight couples with a preference for traditional abodes and Thai design elements. 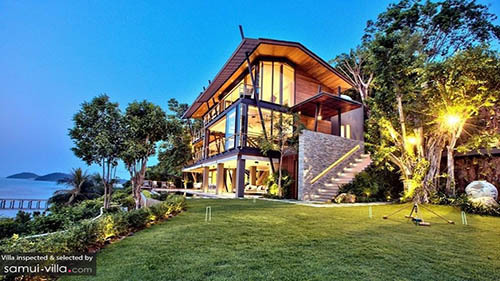 This clifftop abode is adorned with beautiful features, such as teak flooring, antique wooden pillars, splendid pavilions with vaulted ceilings and dark wood furnishing. Make the best out of your stay by spending plenty of time outdoors – lounge upon the sunbeds, take a dip in the infinity pool or tuck into a spread of delicacies at the breezy terrace. No matter which spot you choose, you will enjoy unobstructed panoramas of the alluring scenery enveloping the villa.